NEW YORK – The Association of Asian American Yale Alumni (AAAYA) issued the following statement on March 27. AAAYA mourns the loss of distinguished Yale alumnus Donald T. Nakanishi SY ’71, but finds inspiration in the extraordinary life he lived. An indefatigable and prolific scholar, his pioneering efforts and trailblazing methods established the bedrock upon which much of Asian American studies flourishes. A determined and fierce community advocate, his expansive and insightful exploration of Asian American Pacific Islander (AAPI) communities provoked a re-examination of commonly applied, but ultimately mistaken assumptions, and provided a framework for better understanding the actual roles and experiences of AAPIs, particularly with respect to political participation and educational access and representation. An inspired teacher, devoted mentor, and loyal (but never complacent) Yalie, his steadfast commitment to access, diversity, and social justice left behind a profound legacy for Yale, for the AAPI community, and for people of color all across the country. Don was the son of parents who were born in the United States, but who grew up in Hiroshima, got married and later returned to the United States. His father worked as a supermarket produce clerk; his mother worked as a seamstress. During World War II, both his parents, along with more than 120,000 other Japanese Americans, were unjustly incarcerated by order of the U.S. government. Born and raised in East Los Angeles, Don grew up in a multi-ethnic, working-class neighborhood. He attended Roosevelt High School, where he served as student body president. As he recounted often, there, he learned important lessons about building relationships and friendships across racial, ethnic, and class lines – lessons that would serve him well throughout his life. He received his B.A. in intensive political science from Yale in 1971, and his Ph.D., also in political science, from Harvard in 1978. Don’s decision to attend Yale proved to be life-changing. When he arrived in 1967, approximately 1,000 men (Yale was all-male until his junior year) were in his class – ten were black, ten were Asian American, one was Pacific Islander, three were Puerto Rican, and none were Native American. Soon after arriving, Don had the first of several pivotal undergraduate experiences that would fuel and inspire a lifelong interest in Asian American studies and ethnic studies, and in issues of social justice. During Don’s freshman year, Dec. 7 began as an uneventful day. That evening, it became vividly memorable. At 9 p.m., after settling into his room to study, everyone in his McClellan Hall dorm went to Don’s room and began pelting him with water balloons, loudly chanting, “Bomb Pearl Harbor! Bomb Pearl Harbor! Bomb Pearl Harbor!” A fellow student went up to Don and recited from memory President Franklin Delano Roosevelt’s ‘This day will live in infamy’ declaration of war speech. The incident weighed on Don. He did not seek guidance from his freshman counselor, college dean or anyone else – he did not believe anyone would understand. Instead, he felt compelled to learn about what happened to his parents during the war. Like many Japanese Americans, his parents had remained cautious and stoically silent about their wartime internment camp experience. His schooling had taught him nothing about the forced incarceration. Don went to Sterling Memorial Library and checked out “Prejudice, War and the Constitution,” a book by three UC Berkeley law professors that provided a historical and legal analysis of the federal government’s decision to imprison Japanese Americans. It was the first book Don ever read about Japanese Americans or Asian Americans. From that beginning, Don developed several core beliefs that would guide his scholarship and teaching, his activities in the AAPI community, and his interactions with numerous other communities. He believed students wanted to learn about the historical and current experiences of their own ethnic and racial groups. He believed that enhanced awareness of self and others was essential in addressing challenges of race in an increasingly diverse and interconnected society. He believed that teaching the Asian American experience was for the benefit of not just AAPIs, but for the benefit of society as a whole. Ultimately, what was the measure of the man? Not his accomplishments, although there were many. Just to name only a very few: while an undergraduate, Don co-founded the Amerasia Journal, now the pre-eminent journal in Asian American studies; he started Yale’s Asian American Student Association, which blazed the trail for the 50-plus AAPI student groups on campus today at Yale; he successfully advocated for the first Asian American studies course taught at Yale; and he played an essential role in creating, building, and later directing, the world’s largest and foremost center for Asian American studies — the UCLA Asian American Studies Center. Not his awards and accolades, although there was a continuing stream. Among many others: the Yale Medal for his decades-long advocacy for Yale’s diversity efforts in student and faculty recruitment and academic programs (2008); the inaugural Engaged Scholar Award from the Association of Asian American Studies (2009); and the Lifetime Achievement Award from the American Political Science Association, Division of Race, Ethnicity and Politics (2009). Not even his leadership roles in the community, although they were abundant. Don was a board member for numerous national and local organizations, including the Board of Governors of the Association of Yale Alumni, Harvard University Graduate Alumni Council, Poverty and Race Research Action Council, Asian American Justice Center, and Simon Wiesenthal Museum of Tolerance. 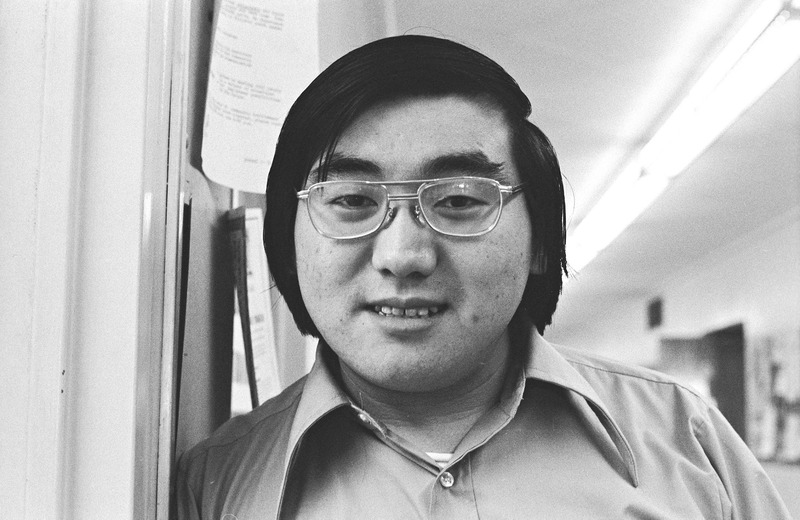 Ultimately, the true measure of Donald T. Nakanishi was found in something more essential — his enormous generosity of spirit; his determined and fierce advocacy; his unflappable commitment to broadening access, promoting diversity, and ensuring social justice. These special gifts made Don a real champion of change that matters. His legacy will not be defined by things; instead, it will be defined by the generations of students, colleagues, scholars, activists, and community leaders he mentored, counseled, and celebrated, and who now continue his life’s work. It was a wonderful life journey, indeed. AAAYA expresses its deepest sympathies and condolences to Don’s wife, Marsha Hirano-Nakanishi, and son, Thomas SY ’05.